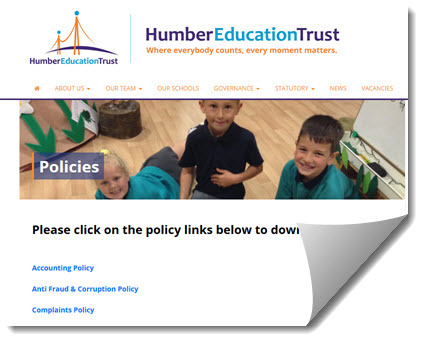 The policies as outlined in the HET Policy Review Timetable document, viewable at the top of the policy documents feed, are available on the Humber Education Trust website. Please click on the link below to access them. If you would like a paper copy of any of the following policies, please call into the school office and speak to Mrs Warrener who will be happy to help. Click on the links below to see the different policies that we have in place that show how we run our nursery school. SEN Policy – to view our policy click here to visit our SEND page.